Every year NFL players want to know what their Madden rating will be. Fans complain that their team or favorite player isn’t rated high enough. Despite players and fans begging for higher ratings, there is a process that EA Sports has used for many years. Physical Madden attributes like speed, strength, acceleration, and agility are based on things like the 40 yard dash and bench press results. These are all measured at NFL combines and pro days. EA Sports takes those results and translates them into a 1-99 rating to be used in Madden 16. ESPN’s FiveThirtyEight blog has a great article about what goes into the ratings for Madden NFL games for those of you who are interested. So even though the Madden 16 rookie ratings haven’t been released yet, the Madden experts over at Madden-School.com did a bunch of math to project the speed, acceleration, agility, and strength ratings for the new NFL rookies. Obviously they can’t project overall ratings simply because there is no easy way to measure things like awareness, hit power, throw accuracy and many other individual ratings. They project Breshad Perriman to be the fastest rookie in Madden NFL 16 at 99 speed. WR J.J. Nelson and undrafted free agent HB Corey Grant come in a close second at 98 speed. The next highest speed rating is first round cornerback Trae Wayne with a 97 speed rating. The strongest rookie is Ereck Flowers with 98 strength. That seems about right. If you’ll recall he did 37 bench press reps at the 2015 NFL combine. 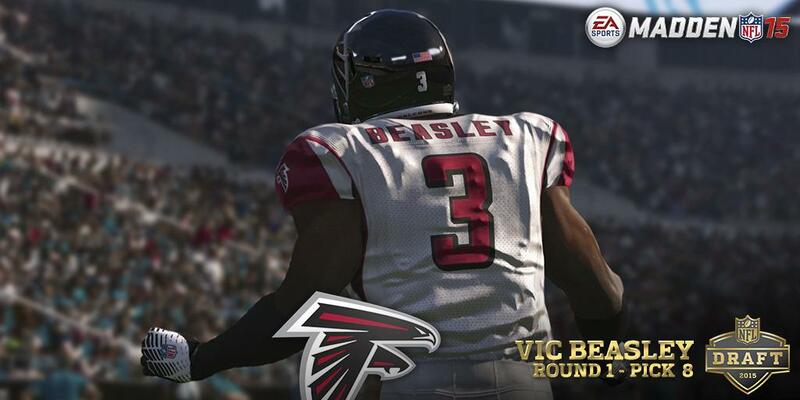 Some guys like Vic Beasley will be absolute monsters as expected. He is projected at 88 speed, 91 acceleration, 86 strength, and 85 agility. The Madden School article is fascinating and includes ratings for 736 rookies in Madden 16. You can search and sort the projected ratings of your favorite rookies here.